to Enter the Photo Contest? Recently when I had the opportunity to guest post with Fido Friendly's Blog, I learned first hand just why their print magazine is so special. Taking dog talk to the lifestyle level, Fido Friendly covers topics such as travel, wellness, health, and even fashion, along with the usual training and dog care advice that most magazines dole out as a regular routine. Fido Friendly has carved out a niche for themselves as the elite magazine for dog lovers, and along the way has befriended their online peers--bloggers--and become a part of their ranks, as well. Taking up the torch of helping the rescues, Fido Friendly has engaged themselves in a Cross-country adoption tour cleverly named "Get Your Licks on Route 66". A rather radical approach to pet adoption, this campaign operates from an RV that tours 7 states along the famed Route 66, building awareness and helping with shelter events along the way. Teaming up with the North Shore Animal League America, Fido Friendly is out to make a difference. Wondering how they did with this interesting venture? You can check their Tour Route here or visit posts like those at the following links of both the North Shore Animal League and Fido Friendly. In their own way, Fido Friendly is helping with the Be the Change effort, started by the Blogpaws group, a fun bunch of pet bloggers that just want to make a difference. Welcome aboard, Fido Friendly. ___ ___ ___ ___ ___ ___ ___. It's okay. You can cheat and look it up in their online version. The first two correct answers left here as comments will win. Ready...Set...Go! Want to subscribe to Fido Friendly? Click the ad here and you'll be done in a jiffy! (Halloween) costume contest, hat, t-shirt. Keep trying; it's a 7 letter answer. One word. 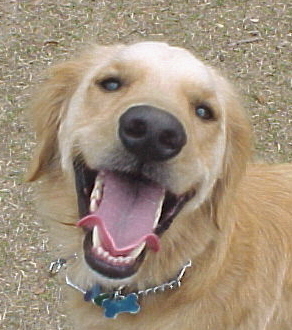 I wanted to thank you for sharing the good word about FIDO Friendly. We think you are pretty darned special, too! You're getting closer. HINT: Check the September Archives. Congratulations, Melissa T. You're a winner! Leanne also got the correct answer and responded on our Facebook site. You'll both receive a free copy of FIDO Friendly. Send me your addresses and the elves will get to work!